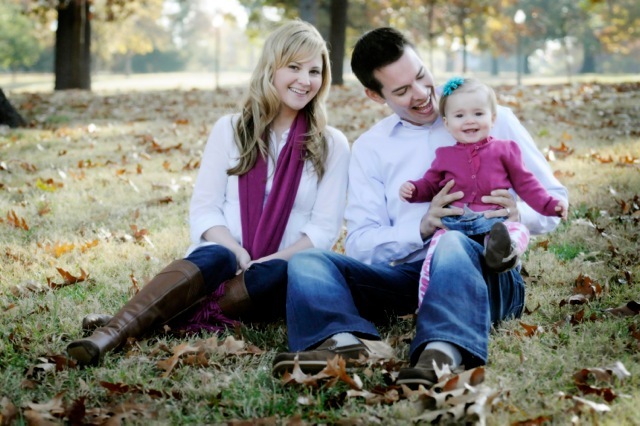 Ideas and inspiration for your family photo shoot! That's the question I get asked most often when scheduling photo shoots. I think that question is what keeps people from scheduling photo shoots because they are so overwhelmed with the idea of coordinating everyone's outfits. I hope this post can help answer that question and help take some of the stress out of wardrobe selection. Keep in mind these are just suggestions and not rules. I like to steer my clients away from everyone matching exactly. For example everyone in black shirts and jeans kind of matching or everyone in white shirts and khakis. There isn't anything wrong with that look and it's definitely an easy option for wardrobe, but some of the tips below will make a more visually pleasing and interesting family photo and each individual personality will show more in the photos. Think coordinating….not matching. The most important advice is let everyone wear something they are comfortable in and will feel confident in! I have a daughter that hates elastic and hates the feel of it and if I made her wear something with elastic for a family photo she would be tugging at it and fidgeting and it would be hard to get a genuine smile out of her. Okay, so this is pretty easy when you think of it in 3 colors. Start by picking a neutral color like navy, gray or khaki. I prefer these as neutrals rather than black. Then add another color that you like and your family looks good in. Ex. mint, light blue, yellow, salmon, coral, turquoise to list a few. Then I like for the 3rd color to sort of be a splash of color that will pop out in photos. It can be a hot pink, or a bright yellow or turquoise. So say you start with a neutral of khaki, add blue as your second color then add a bright splash of turquoise or pink color with a scarf, headband, or necklace. Sometimes even children's boots can be the fun color! So... make your brightest color your accessory color because you don't want the color to distract from the overall photo, you just want it to be an accent. I hope this helps you in planning your photo shoot. I added some photos of families I have photographed in the past that I think the wardrobe selection worked. This family picked navy as their neutral with a light blue as their second accent color and the mom chose a coral necklace for her "splash" of color. I even love how her daughter is holding onto her necklace, I think it's sweet. 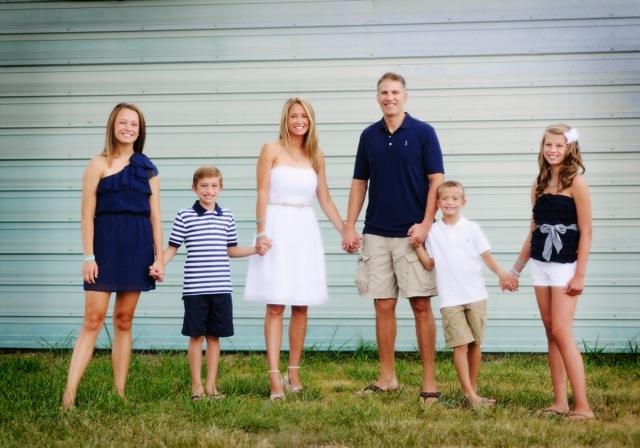 This family used navy as their neutral, accented with white and chose turquoise as their splash color. #3 son got the splash color and mom chose a necklace and the splash of turquoise in the boots is perfect! This cute little family went with white as their neutral with a magenta accent color and their splash is the turquoise flower in their daughter's hair. Mom pulling off the splash color perfectly! Great job, I love it and it's a great color for her beautiful dark hair! Another one of my favorite combos that I think just looks perfect! I love the navy against the mint background too! I love this combo too. Blue as the base or neutral color, add the magenta color and then the splash is the yellow pants but also the added yellow in the fun leopard print belt on mom. You could do a leopard shoe also for the same "splash" effect. Love it! This is a great example of matching and it working really well. Siblings wearing something from the same line but in different patterns. Great job of coordinating outfits but not too matchy matchy and good use of mixing patterns. Another great example of the "splash" being a fun print. In this case the leopard print on little sister's top and big sister's shoes and middle's headband. I also love middle sister's cute bright shoes! It all really works but doesn't distract from the subjects and everyone seems really comfortable in what they have on. One of my most favorite things to photograph is an extended family portrait because I think they're so important. They can also be very tricky to coordinate outfits and make everyone happy. This family photographed in the fall went with some great fall colors that really work well together. They chose brown as their neutral color and orange and magenta as their accent colors. I think it all worked perfectly and wardrobe didn't distract from the most important thing in this photo which is family and oh what a sweet family it is. Good job everyone!